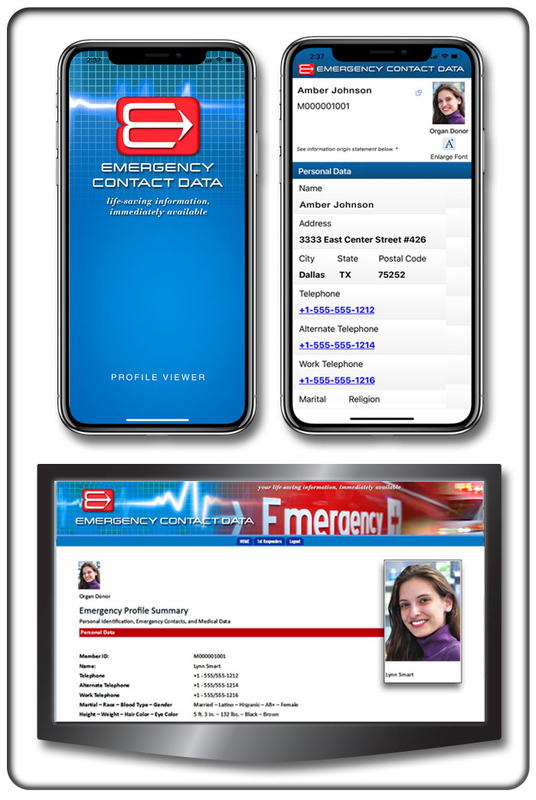 1 – Free Emergency Contact Data Mobile App for Every Device – quickly found by the first responder due to the distinctive icon captioned, “Emergency” on the devices’ initial screen. 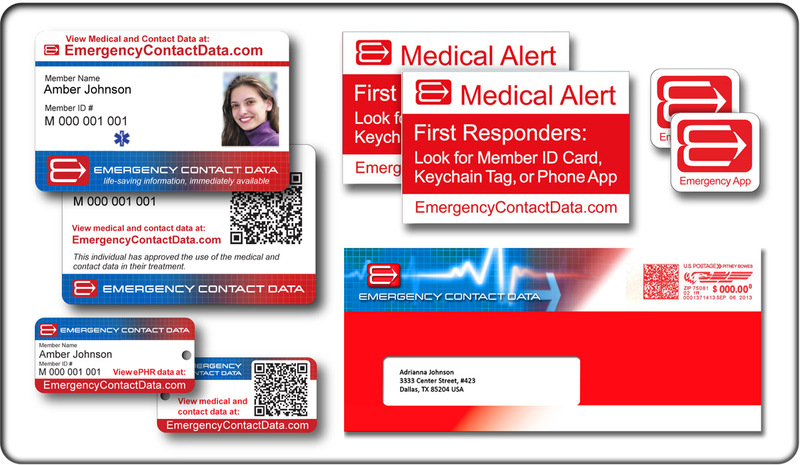 Emergency Contact Data’s mobile app displays your comprehensive, medical records within 5 seconds, 24/7, worldwide without the use of the Internet and should not to be confused with fitness or lifestyle apps. Your Electronic Personal Health Record (ePHR) is stored on your mobile device(s), which eliminates the need for an Internet connection. If your mobile device has power, it will display your ePHR. You update your profile online and then immediately open your app with the Internet to auto-update your app. There is no entry or updating at the app level. The Emergency Contact Data service speaks for an injured or unconscious person found in the most remote locations, under the worst circumstances. Online Access – for viewing a person’s ePHR, entry of all information, and printing or emailing all or a portion of the record. Each membership includes the free Membership Kit containing a photo ID card, 3 key-chain ID tags, 2 windshield-window decals, and 2 digital device decals plus, access to the free mobile app and your online profile center. Each Free Membership Kit is mailed in a distinctive red envelope.